Troutdale, Oregon is a town on the outskirts of the greater Portland area. Its population is growing as commuting and tourism replace agriculture and industry as drivers of the economy. The community now requires an expansion government facilities and public amenities, as well as a new sense of identity and place. 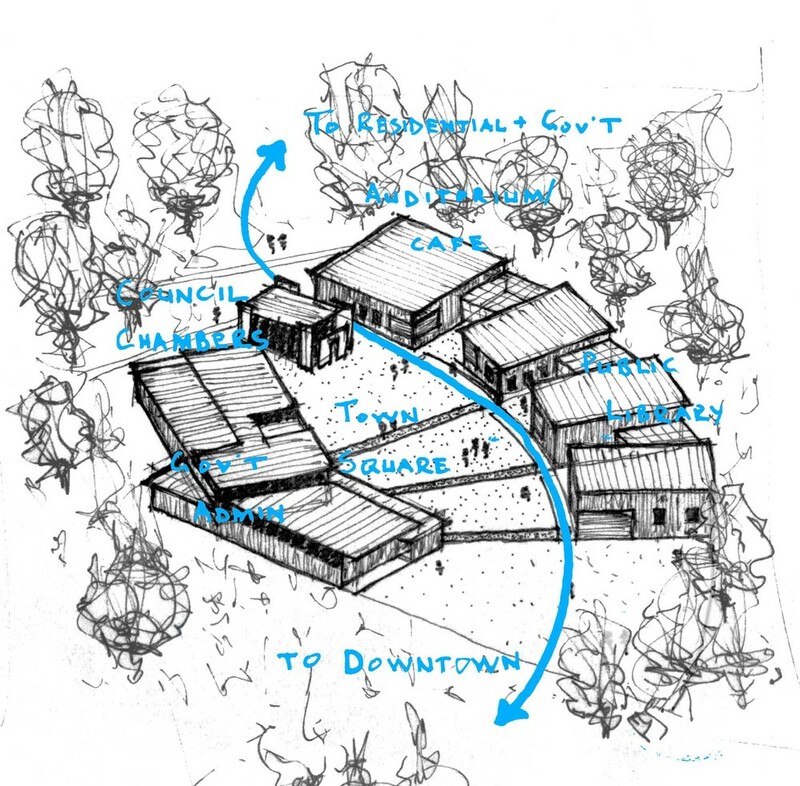 Community and government buildings are organized around a shared public plaza: a terraced, accessible open space that connects existing government buildings and residential areas to the growing downtown.